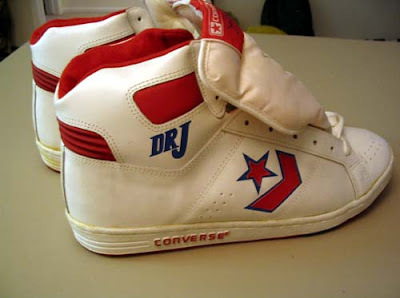 Today we return to the Friday Flashbacks with the Converse Dr.J I remember seeing these a few years ago and I completely loved the use of the Dr.J logo. 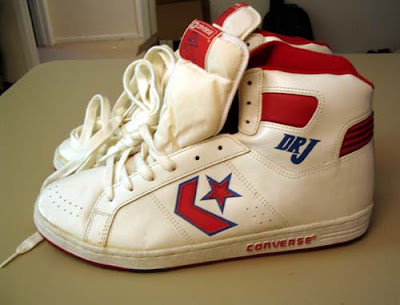 For some reason I was thinking that these came out in 83 for the season the 76ers won the championship. You can tell that they're a link between the past and the future of Converse. 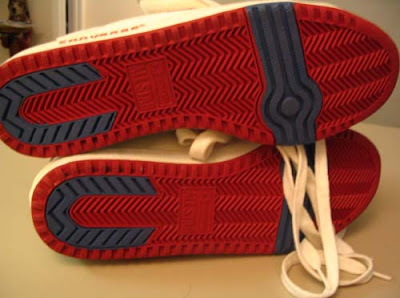 The outsole appears to really thin, like the Pro Leathers. 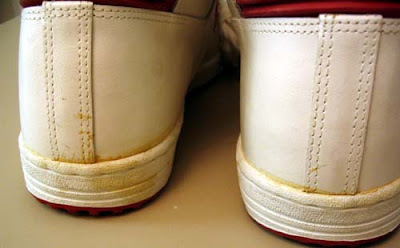 The upper, mostly around the ankle, give a glimpse of designs to come. That's all for the Friday Flashback, if anyone knows more about them let me know. Thanks for stopping in and voting in the poll.